We wind down every day, with what our customers call "the most relaxing trip we offer." End your day with a tranquil cruise around Cape May. 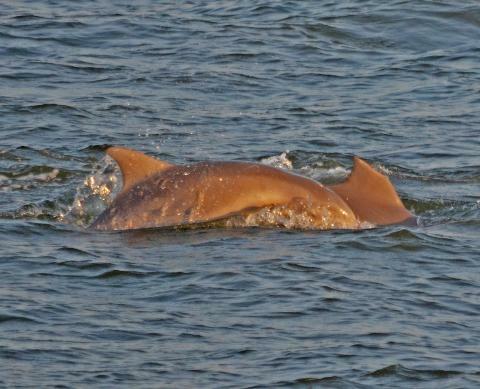 Search for Bottlenose dolphins then enjoy sunset and twilight over Delaware Bay. 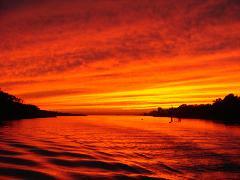 Our trip is scheduled to catch the best of the evening and the only boat in Cape May to capture a Sunset while out. * Sit back while we pass historic Cape May City and the Cape May Lighthouse. 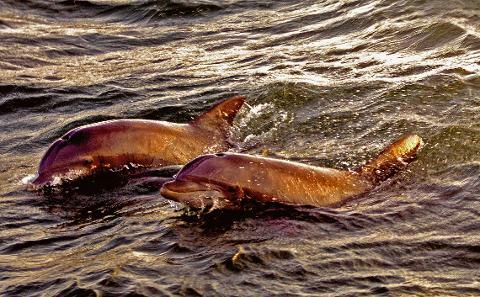 This is an excellent trip for something to do with the kids and the whole family as well as couples. The ship is large enough to allow space for all. While settling into a vacation state of mind, check out the snack bar, serving Cold beer, wine by the glass, and mixed drinks, along with fountain sodas, bottled water, hot coffee and cocoa, and Good Humor Ice Cream. Commentary from your naturalist/captain and light music adds to your enjoyment. All you can eat Pizza and Hot Dogs are included with a regular ticket. Ask about our Dinner Cruise Buffet Upgrade before you reserve.